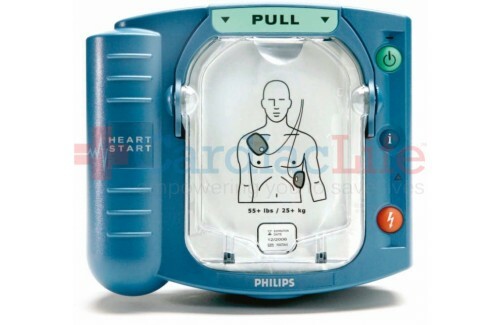 Of all the Automated External Defibrillators (AED) the Philips Onsite Home Defibrillator is the only AED that's available without a prescription. Once electrodes are connected to the patient's bare skin it will analyze the heart rhythm and prepare for shock delivery. Sudden Cardiac Arrest (SCA) is different from a heart attack. Unlike a heart attack, when a person suffers from SCA their heart has stopped beating. 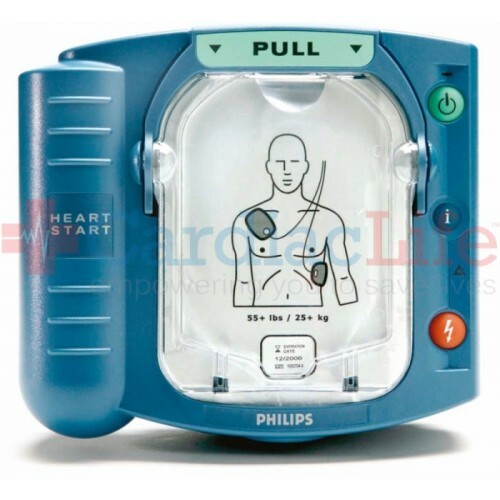 When an AED and chest compressions from Cardiopulmonary Resuscitation (CPR) are combined, an SCA victim's chance of survival increases by 66.5%.